Just to use the term 'liberal' in a post conjures up the probability of 'fightin' words' due to the current climate of our social rhetoric. A quick check of my profile, a short perusal of my past blog posts, an educated guess concerning my background and faith will likely put me in a category of "HARD DOUBT" as to my fair treatment of anyone who labels themselves as progressive or democratic or liberal. Growing up through the late 60's and becoming more socially conscious in the late 70's and early 80's- my political leanings were formulated during the dawn of the Reagan presidency and the emergence of talk radio and the EIB rants of Rush Limbaugh. This era had a huge impact on my parents as well. As far as I can tell, we were blue dog democrats in the early years. My dad was a Birmingham firefighter and I remember him expressing that the democrats took care of the working man. When you are 8 or 9 years old, you could care less. 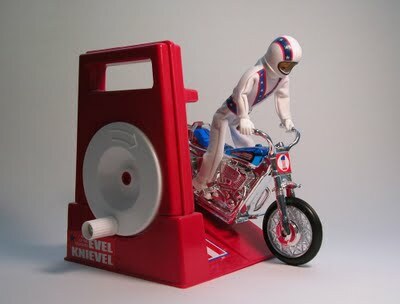 You hear, it registers, but I was quickly back to my Evel Knievel stunt cycle and Nerf Football. My mom was the first one to even breathe that she was now more of a 'republican' and she was really into Rush. But it was more than that, President Reagan not only inspired a new nationalism and pride, he painted the term 'liberal' like it was almost a disease. In 1988, George Bush made Michael Dukakis wince as he painted him an extreme liberal and a 'card carrying member of the ACLU'. But there was something else going on as well. It was much deeper than politics. The term liberal seemed to align more and more with a set of social values that were very different than what was represented in my church, around my coaches, even among my peers. It was especially frustrating to see the unhidden social agenda pushed in mainstream media outlets. As much as I enjoyed television and movies- it was apparent in almost every new broadcast or premier, there was a group pushing the envelope of a different value system. I strongly believe that this is why Rush Limbaugh and conservative talk radio took off- It is why Fox News grew out of relative obscurity into the power player it is today- the values being represented did not represent what was most prevalent in our neighborhoods. The heart strings of most people growing up in the State of Alabama come alive to God, Country, and Football. I'm going to get to the heart of how the gospel confronts the liberal- and I will also balance it with how the gospel confronts the conservative. But I did want to take a quick side trail and talk about the impact of progressive media entertainment and having a largely liberal press on our country. My belief is that the spirit/heart of the country has been dominated by conservative social values from the founding fathers until the dawning of the 21st century. Remember that it was shocking for Rhett Butler to say "Damn"in 1939. Elvis was controversial in 1956. I am not saying that society was as innocent as 'Leave it to Beaver' or 'Father Knows Best'- but the larger community assented to a high standard of propriety in terms of what was presented or what was assented to. Our household wasn't free from profanity or vulgar language, but we all would confirm that it was NOT RIGHT, even if we did it from time to time. But a lot has changed. I was 14 years old when we got cable TV. I was so happy that we were going to have more than the 2 1/2 channels that I watched when I couldn't go outside. I say 1/2 because one of the stations was very blurry and only synced up in good weather. The stations would play the national anthem around midnight and then a high pitched beep would play continuously to colored bars all night long until Country Boy Eddy came on the air around 4:30 AM. So I sat in a chair in our dining room, looking at a 14 inch black and white TV, and was ecstatic! 14 channels! Some all night! We had TBS out of Atlanta, WGN out of Chicago, one channel made the TV into a fireplace, and the big one...HBO. We watched the old version of "Bad News Bears" with Walter Mathau and Jodie Foster and then it happened. Over the TV, I heard a curse word in front of my mom. I had seen the movie in the theater, but for some reason, having my mom there.. OH Boy. She got quiet and said "Oh MY" and the tension was pretty thick. Have times changed? But I want to point out one other change. 60 minutes and CNN introduced another big culture changer. These shows began to take on controversial social topics: abortion, homosexuality, 'family values'... and the format was to present the opposing views EQUALLY. Pro choice advocates were given 30 seconds of soundbites and Pro life debaters were given 30 seconds of soundbites. Even if the culture represented a 90% agreement with pro life issues, the minority view was given a weightiness. And it all became LOGOS- and the liberal social agenda had fancy slogans and hard hitting soundbites. Over time- this has caused major shifts in social atitudes and mores. I believe the country is still largely conservative (look at the red vs blue states) but it is a softer conservatism as far as values are concerned. In fact, we always placed so-called 'family values' within a Judeo-Christian world view. It seems like today, the values are argued according to pragmatic social contexts and not whether there is a universal standard of right. This is all a prelude to say that if the goal of liberalism is cultural change- then I would say that American progressives have had great success. If you start in the late 60's- we have moved the standards a LONG way. The ACLU mindset has created a secular marketplace... more so than Europe. British schools pray and even teach Bible (it hasn't helped them hold on to a God awareness or national faith, but that is another topic). Progressives have even moved conservatives. The ultimate American value is now 'freedom'- it is what we say we want to export to the world. But a careful reading of the founding documents of our country do not put freedom as the highest American value. The founding of our country was a freedom from tyranny based on the standards of the Creator. American freedom was never ultimate freedom, it was a mutual accountability to restrain human evil. The American dream was to make men free, but realize that humans are more prone to extremes and brutality- especially when they gain ultimate power. The greatest distrust was a government that was not accountable to the governed. So what does the gospel say to the progressive? It encourages and confronts at the same time. The positive aspect of the Christian gospel to liberals is to commend their heart for the downtrodden. It is to the liberals credit that there is an unwillingness to rest until there is found justice and provision for the hurting. Some who found a home in progressive circles were those who walked out of churches after being turned off by a status quo and cold response to issues like racism and poverty. However, the gospel confronts the liberal in two major sins. The first, and most deadly, is the jettison of absolute truth and embrace of relativism. If there is no agreed upon standard..there is no standard. You can go all the way back to Europe and the 19th century Romantics like William Blake and William Wordsworth who threw out the baby with the bathwater. In rejecting the cold religion of the Cathedrals, they abandoned God as He had revealed Himself- especially the revelation in Jesus Christ. The second major sin is to view the state as the savior and provider for social justice. God set up the church as His minister and the government as His sword. Because we are using men (jars of clay), these structures will suffer decay and impotence until the master comes back- but the message of the gospel is good news ... even in the failures. As soon as liberals turn to the state as the provider and preach tolerance as the standard of morals- the stage is set for take away and turnover. Even though everyone gives lip service to our commitment to being a nation of laws - the current movement of our nation is toward lawlessness (doing only what you want to when you want to) and tyranny (the powerful group of elitists who will emerge to get everyone in line). The message to the liberal? Please turn the the Christ of the Bible, find forgiveness in Him, and lead us back to standards of love, and humble service to the Creator. You have more power to do that than the conservative does. The next chapter will show us how the conservative has sins to repent of as well..... but to all of us- the gospel is not too good to be true.. it is the only good truth. And it is founded upon the GOOD TRUTH.... the shepherd who laid down His life for the sheep. It is a good and secure hope! Thanks Jay, enjoyed and gives prespective espcially in these times of Political Football.